Fans of Bollywood actor Ajay Devgn have got a reason to rejoice as the actor's voice has been used in a non-Hindi film. 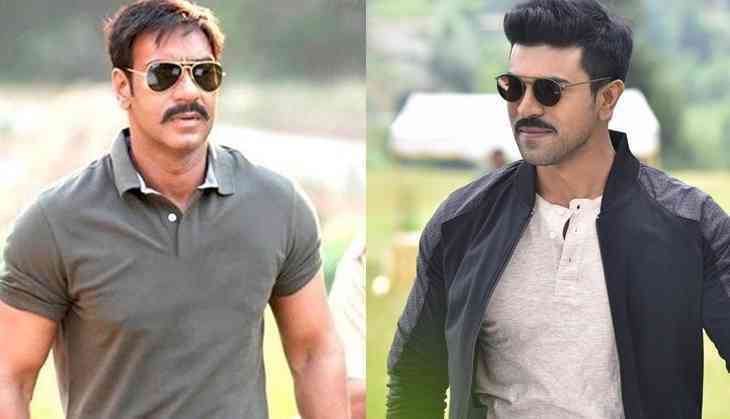 Reportedly, Ajay Devgn has dubbed for Telugu actor Ram Charan's character in the Hindi dubbed version of 2016 hit film Dhruva. The Hindi dubbed version will be premiered in a popular Hindi channel on coming Sunday. Ajay Devgn himself confirmed the news to a Mumbai based daily and stated that the channel is the official home to all of his films and he couldn't say no to the Hindi dub offer. Ajay went on to say that the journey of bringing Dhruva to life has been quite exciting for the actor. Apart from Ajay Devgn, Bollywood actor-director Arbaaz Khan too has lent his voice for Arvind Swami's character in Dhruva. Interestingly, Dhruva is the official remake of Tamil blockbuster Thani Oruvan, which starred Arvind Swami along with Jayam Ravi and Nayanthara.